The Oscar winner directs and stars in the new Netflix movie, and she even teamed up with her Captain Marvel co-star Samuel L. Jackson again!! Fresh off the record-breaking success of Captain Marvel, Oscar-winning actress Brie Larson is now putting on her directing hat with her directorial debut, Unicorn Store! 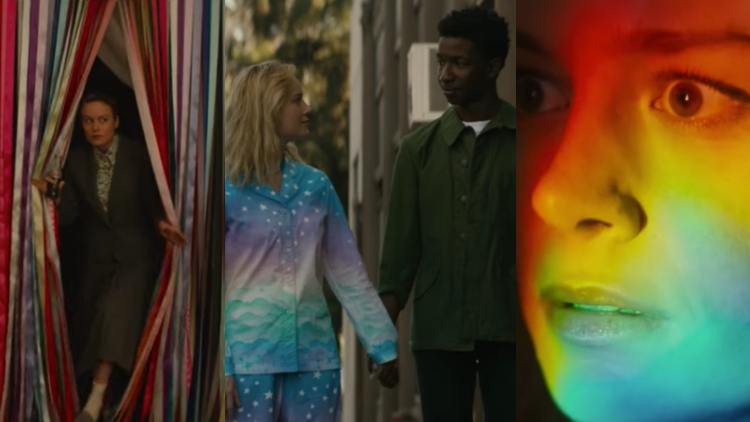 From the looks of the colorful, rainbow-tastic trailer, the film is about a woman named Kit who is trying to stay motivated and realize her dreams of becoming an artist, despite working as a temp in a dead-end office job. (Wow, things just got real!!) Anyone who is still trying to navigate the world while #adulting will definitely relate to Brie's film (I know I sure do), and all the MCU fans out there will also love that she teams up with her Captain Marvel co-star Samuel L. Jackson again! "Everybody needs some magic in their lives," Larson says in the trailer. "Even if they’re all grown up." Unicorn Store is now streaming on Netflix! Watch the full trailer in the video below!